The recipe dates all the way back to the 1920s, pretty much right after the cookies first came out. Somebody discovered that if you stacked the the thin chocolate wafers with layers of sweetened whipped cream, and then refrigerated the whole thing, the cream seeps into the cookies and results in an ice cold creamy cake. It’s been a summer staple ever since. I took the concept and ran with it. 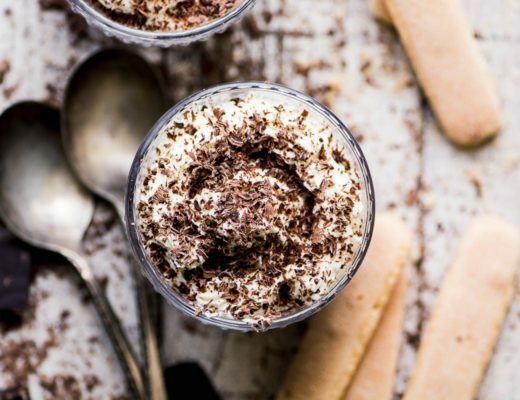 Nabisco Famous Chocolate Wafers take the place of ladyfingers for this no-bake faux tiramisu dessert. I used instant espresso, Kahlua, whipped cream and dark chocolate, along with the cookies, to make the chocolatey layers. 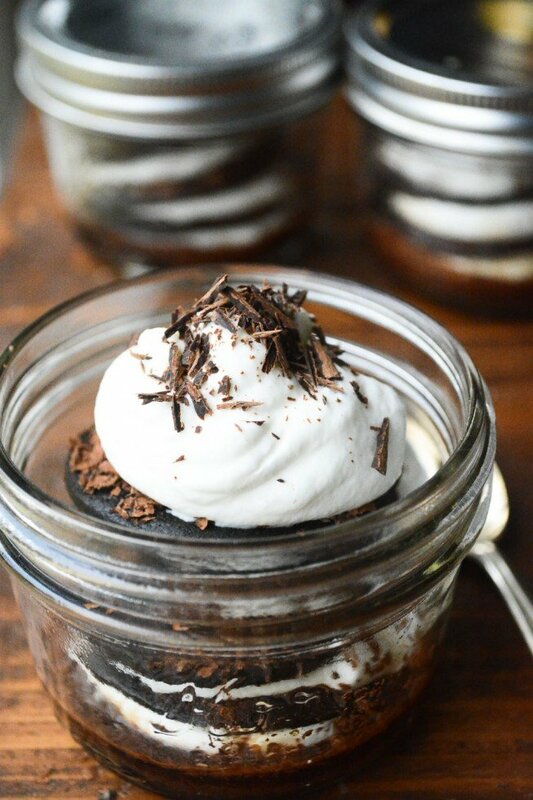 I assemble them in individual mason jars or dessert glasses so everybody gets their own. They are fabulous, and keep perfectly in the fridge for a day or so. Each wafer gets a good soaking with a mixture of strong coffee and Kahlua, and then a sprinkling of shaved chocolate. I stack them 5 high with pillowy layers of sweetened whipped cream between each one. My wide mouth 1/2 pint canning jars are the perfect size to make and serve them in. Mine are from Kerr, but all the canning companies make them. They work great because you can assemble the cakes ahead of time, and then screw on the caps and refrigerate until needed. 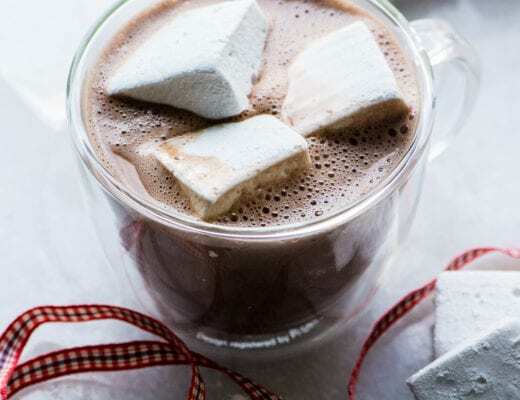 I top them with an extra dollop of whipped cream and more chocolate just before serving. Mom’s icebox cake didn’t have the added benefit of strong coffee and Kahlua. The flavors soak into the cookies and make this dessert extra special. If you don’t have kahlua there are lots of other alternatives, like rum, Marsala, Amaretto, just name your pleasure. For the coffee you can use instant espresso, or your own brew, just make sure it’s nice and strong. You can make these for a crowd, just allow 5 cookies per serving (there are about 40 cookies in the box). The Nabisco cookies have a way of flying off the shelves, especially now, in peak ice box cake season, so keep your eyes peeled. Amazon sells them, and you can also check out store brand alternatives. You can do this with other types of wafer cookies, too. 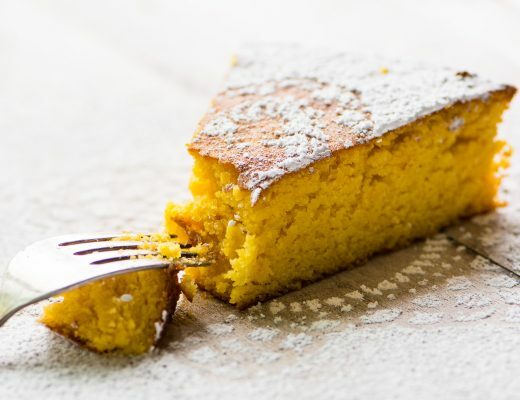 My store has a lemon variety and I make a great Limoncello version of this same dessert. Whip the cream until it starts to thicken. Add the sugar and vanilla and continue whipping until it's firm and holds it's shape. Mix together the espresso and kahlua and set aside. Take four glasses or small dessert bowls and layer one cookie at the bottom of each. Spoon 2 tsp of the espresso mixture on top, spreading it around so the entire cookie gets soaked. Grate a layer of chocolate over the top of the cookie, using a microplane or small grater. 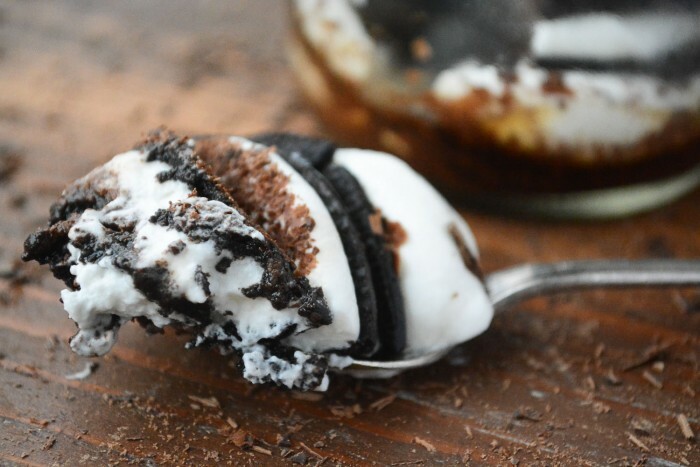 Put a dessert spoon full of cream on top of the cookie and chocolate. Take another cookie and lay it on top of the cream, pressing down slightly to spread the cream out. Continue layering until you have 5 layers, ending with whipped cream and a final sprinkling of chocolate. Cover loosely and put in the refrigerator for at least 2 hours, to get really cold. For a light and fruity no bake dessert, try this Blueberry Lemon Icebox Cake! Sometimes if I’m feeling in an elegant mood I’ll make these in vintage dessert glasses I find at thrift stores. I highly recommend this recipe. It’s universally appealing, and very easy to throw together. I kept the serving size small, so they’re refreshing and not too heavy or caloric despite the whipped cream. This would be perfect for entertaining with the lovely presentation, Sue! This is SUCH a great idea!! I can eat those wafers a box at a time so making them into tiramisu? So dangerous! My sister’s been begging me to make an icebox cake recently. I think this is a sign!! I love the individual servings! They look amazing, Sue. Thanks Angie – what CAN’T you do with a mason jar?? bloody lush!… genuinely ready to lick the screen! Oh what a treat, I’d love one of these and the individual serving size is just perfect! 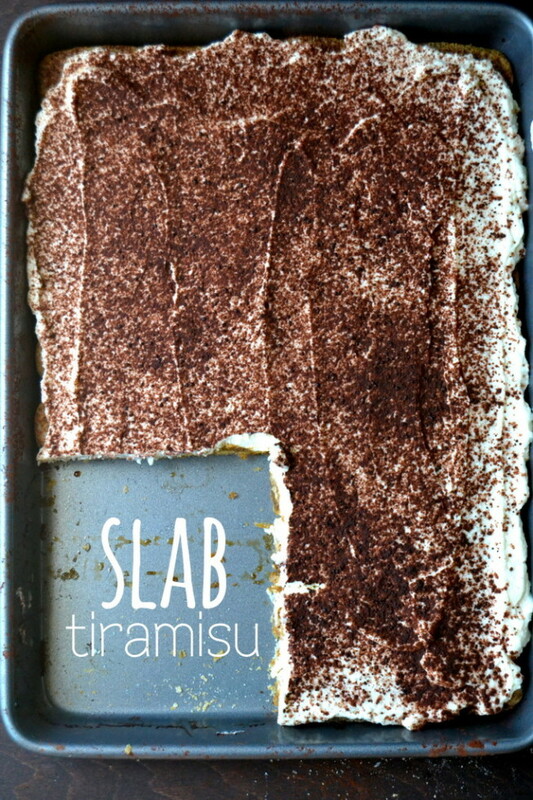 I have always wanted to make tiramisu! This sounds so good! 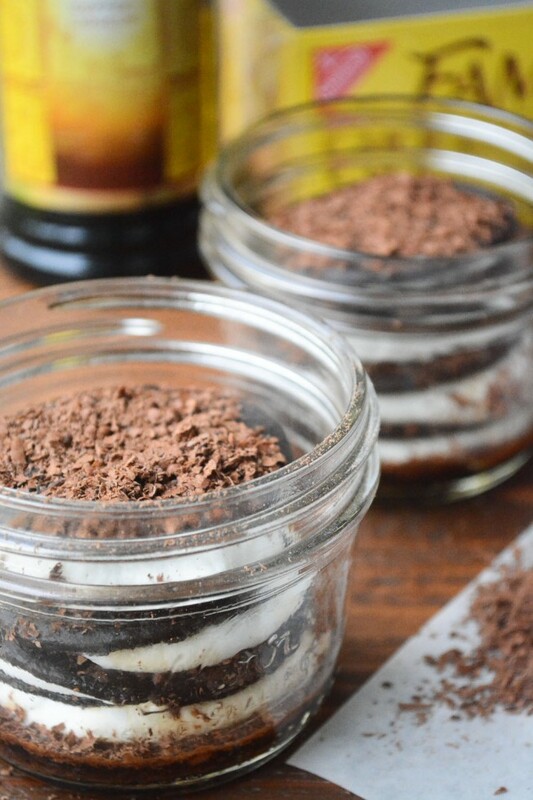 Love everything about this sweet treat – the individual servings and the mash-up of ice box cake and tiramisu. Pinned!! I have to admit I love a tiny dessert! These sound perfect and the little size would help curb my instinct to eat several servings! I think I’ve been living under a rock. I’ve never had icebox cake but that’s about to change! This looks fabulous!! Oh Chris, how can that be??? The texture is really fantastic, like a cross between a mousse and a moist cake. 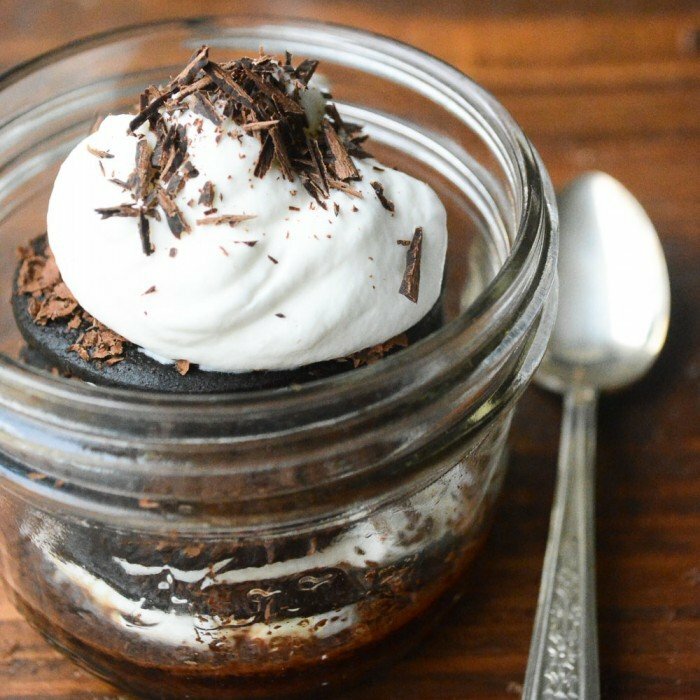 Anything with whipped cream catches my eye, and then you add coffee and Kalua and chocolate! Oh my! This sounds just heavenly. I have tried to find those wafers before and can never seem to locate them. Did you find them in the cookie section of the grocery store and if so, which store? I’d rather find them locally instead of having to pay shipping. Thanks for a great recipe! I’ve found them in the cookie section of many stores, Shari, but it is sometimes hard to spot them. They tend to be off at the top or bottom of the shelves. You can always ask. I would also suggest looking for other wafer type cookies…Trader Joe’s sells several different kinds, if you have a store near you. Thank you very much, Sue! I shop at Trader Joe’s all the time so will look there. I will also look harder or ask at the regular grocery stores. I appreciate you letting me know. P.S. I just used my popsicle mold I won from you last year. It is great! Thanks again! This looks fabulous for the warm weather. I love your old fashioned measuring cup with the coffee in it. Where did you find that glass cup? That was a thrift store find! Still gorgeous! I love the jars too – and the photos – craving chocolate now! Have a great weekend. Love the sweet little presentation Sue. Oh my – I’m loving this. 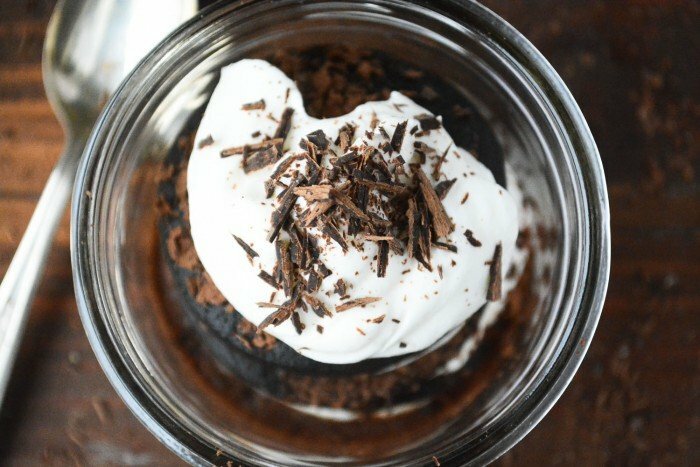 Turning any dessert into one that features more chocolate always gets my vote! This is really easy and sounds delicious. Love the single-serve and jar options – great to grab from the fridge for dessert after grilling and eating outside. Thanks Monica – these are a family favorite around here – have a fun weekend! I love it. This is an amazing looking dessert! i’ve never had a true icebox cake, but i’ll be darned if this isn’t one of the classiest desserts i’ve seen. how unexpected! Hi Sue! Sadly, I have never had the icebox cake, I guess I was a neglected child ? 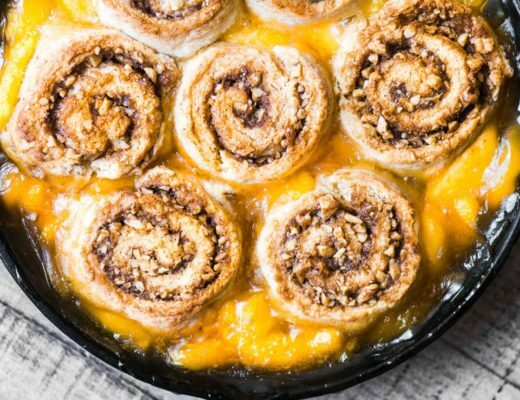 I might just make the classic version up for my kids as a quick throw together dessert and your version for John and I. How do you get such close up photo’s with no blur. Are you using a tripod, high ISO or Aperture? Curious, as I am just starting to work on a manual setting. Once again, I’m wishing we were neighbors! I just last year tried the famous icebox wafer cake for the first time. I seriously could have eaten the entire thing. Completely addictive! This version though, oh. my. gosh. You rock. It’s a very good thing you can make these one at a time. I can only imagine how dangerous an entire cake would be! I’ve missed seeing your posts! If I could just stay in town long enough to catch up, I’d be a very happy girl!! Have a beautiful day, Sue! I love those chocolate wafers. I remember my mom making the famous chocolate refrigerator roll when I was a small child. Individual servings are a great idea. Looks perfect especially in those glasses. Tiramisu is my favorite, I had one for my wedding cake. This looks to be a cool and fun variation, and easy too. Must try the yummy! That last picture is gorgeous Sue! OMG, decadent, deadly & devine and delicious! It looks so luscious. Ina makes a similar icebox cake with chocolate chips cookies. I have to wait until I have a party to have this delicious dessert. I lack self control!!! Looks fantastic. Great idea… can’t wait to hear your variations.